Pamela Cioroch is a talented young musician who has been using her talents to help promote the work of The Voice of the Martyrs; a ministry with which we are actively involved. We were happy to work with her in getting a website up and running. 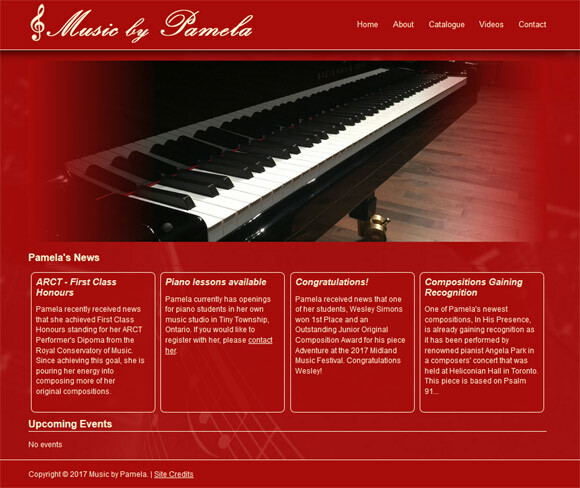 The website includes a catalogue of original piano compositions for sale, as well as mp3 recordings of her performances.